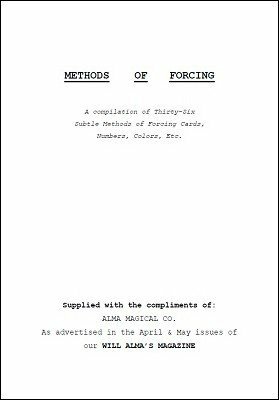 There are 36 good methods of forcing explained in this manuscript, all of which require no skill. 9 methods with colors, 12 methods with cards, 7 methods with numbers and 8 general methods. No magician should be without this handy manuscript. Worth double the money asked.